Two tier bowl stand fitting 2 medium glass bowls (21 cm – 8 1/4in diameter). 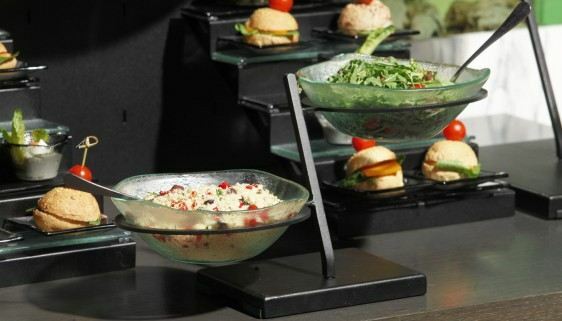 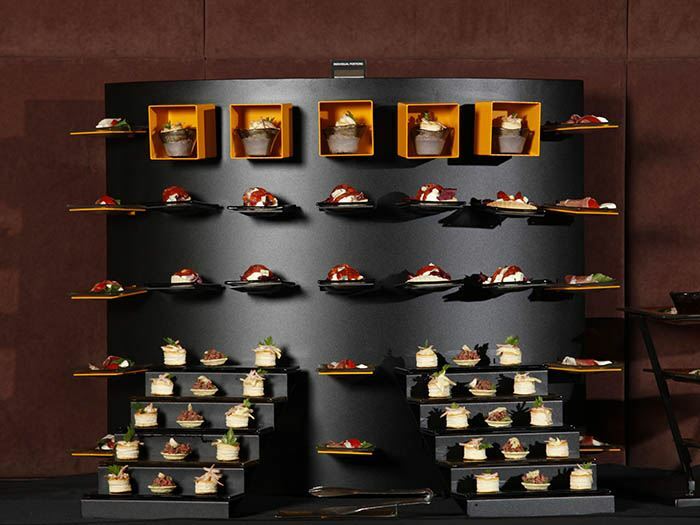 This stackable buffet riser consists of two parts which can be separated to help storage: base and body. The base has rubber coverings to avoid sliding. 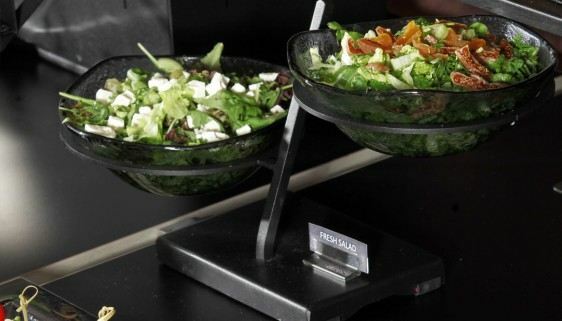 It is ideal for the following food presentation: Composed Salad, Cereal and Yoghurt container, Dried fruits and Compotes. 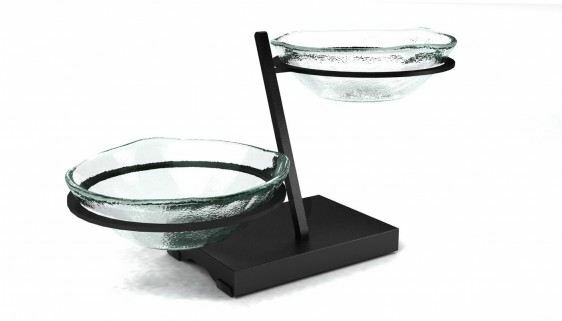 Each set includes 2 risers and 12 glass bowls.